I know, friends, I know. Almost every recipe I post basically amounts to: me quoting Heidi Swanson quoting someone else. But, you know, most of the time in the kitchen I’m not shooting for originality. I’m shooting for total deliciousness. 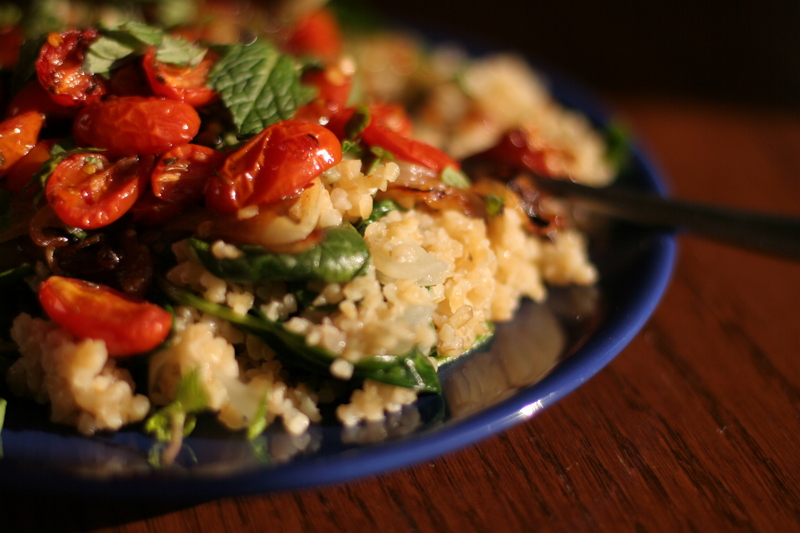 This bulgur pilaf with spicy harissa shrunken tomatoes, lemon-cinnamon caramelized onions, wilted spinach and minted yogurt fits the bill. Try it. You’ll see.